Tech mogul, Masayoshi Son, has been making waves with his bold vision for the future. Like Elon Musk and other forward-thinkers, he’s designing and investing in a new world; one where people live to be 200 years old, communication is done telepathically and wired via information networks. Son claims that he has a 300-year plan for Softbank. Son is putting serious money in research, most especially in robotics, artificial intelligence, as well as the Internet of Things (IoT). Reports say he has more targets lined up, with the intention of being at the forefront of leading emerging sectors. Is he a mad genius? Perhaps, but when you’re throwing around billions, everyone pays attention. The Softbank Vision Fund is the biggest tech investment fund ever assembled. 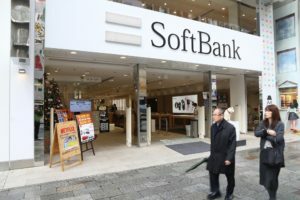 Much of the funding came from Softbank’s own coffers, but additional funding was provided by financial giants from Saudi Arabia and Abu Dhabi. Son’s intention is to use the fund to create a tech zaibatsu where companies are inter-related via cross-ownership. A zaibatsu is a group of companies with interlocking boards that work cooperatively. 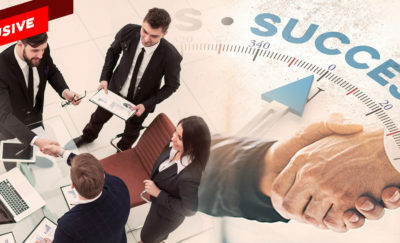 Son’s strategy is to infuse funds with the leading companies in particular industries. He buys in from 20% to 40% of these companies, effectively becoming the largest shareholder. In contrast, most venture capital companies provide operating funds and minority shares in startups which may or may not bear fruit for several years. The companies that were bought compose a very diverse mix. It includes ARM Holdings, a processor manufacturer for mobile phones; NVidia, a graphics chip manufacturer also into autonomous vehicles; Didi Chuxing of China and Grab of Southeast Asia, two car sharing companies that are leaders in their respective regions. Softbank has also expressed interest in Zalora, an eCommerce site based in Southeast Asia. Ultimately, the Softbank Vision Fund is being used to create more opportunities for a diverse portfolio. Asia Nikkei observes that Softbank, via Son, pushes to acquire the largest and fastest-growing companies in its niche. This calculated move apparently works for Softbank, given that their investments perform 10% to 20% better than comparable funds. Son was one of the earliest investors into Alibaba, putting in $20 million when the company was still in its infancy. Years later, Son scored a home run as his stocks reached up to $90 billion in value. With such a massive amount to be invested mainly in the tech and internet niches, Son is inevitably rewriting tech history and making sure that his name is prominently featured in it. Who is Masayoshi Son, Leading Venture Capitalist? Masayoshi Son, 59, is not your ordinary tech billionaire. 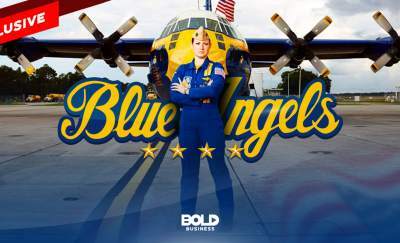 He was a venture capitalist even before the term came into fashion. He once lost almost $70 billion in net worth, all in one day, due to the dot com crash of 2000. In spite of that setback, he is still regarded as one of the most powerful investors in the world. Pepper robots stand ready to assist. He is Japanese with Korean parentage and went to the United States to finish high school and enroll in college. At a young age, he already had dreams of how to get rich. He found a way to have a talk with the head of McDonald’s Japan to discuss business. While in college, he transferred from Holy Names University to the University of California, Berkeley and majored in economics while also studying computer science. Son caught the computer science bug early. After graduating from UC Berkeley, he started a company in California, which he later sold to Kyocera, a Japanese electronics company specializing in industrial ceramics. He also created a translation program, which he later sold to Sharp to compose the Sharp Wizard series of PDAs. This project was a milestone on the road to his first million dollars. The idea of microchips as a leading edge to technology compelled Son to think of a new invention every day. This motivation is seen in the way he manages Softbank. It also explains the company’s philosophy about acquisition and funding of companies. Unlike with many other venture capitalists and other funding agencies, Softbank funds a significant portion of any one company’s capital. The idea is to allow the company to grow to its full potential. Another factor for this is that Softbank would have a hand in the management and policy of the company. Their relatively large investment gives them ownership and the ability to steer the direction of the companies they invest in. Son also plans to invest in sharing companies which operate like Uber or AirBnB. Softbank already has a big investment in Alibaba. It is also looking to fund car sharing companies in China and Southeast Asia. In May 2017, Son’s Softbank bankrolled a British startup to further their research on large-scale virtual reality projects. The company, called Improbable, was founded by Cambridge University computer graduates. Improbable’s partners believe that large-scale virtual worlds will be the future of computing. They are involved in multiplayer games, but are also building real-life applications for their technology. Back then, Softbank said virtual reality tech would help them understand world economies, solve complex problems, improve cities, and even go as far as studying diseases. Softbank giving money to fund private research is not unheard of. Billionaires funding research for scientific or heath causes – not just tech- have been responsible for many advancements and innovations in the last 10 or 15 years. Yes, American science has been transformed into a private enterprise by people like Bill Gates, Steve Jobs, and Masayoshi Son. And it’s a good thing. In some ways, private research funding appears to be a crusade against disease. The goal is to create effective treatments as quickly as possible, to benefit the people of the world. On the other hand, private research funding has gone for a myriad of other activities, including; innovative ships, giant telescopes, private missions to deep space, and even the development of undersea crafts. Public-funded research is slow, politicized, and often unwilling to take risks. These moneyed donors are impatient and want results that they can touch, see, smell, and hear. Over the years, prominent names in the tech world such as Bill Gates, Lawrence J. Ellison, Eric Schmidt; David H. Koch from oil and chemicals; James Simmons, and former New York Mayor Michael Bloomberg have pumped billions of dollars into scientific research. Son, for his part, is obsessed with the possibility of expanding small and common devices through an Internet connection. He is not only funding research but also the deployment of hundreds of low-orbit satellites so rural areas can enjoy stable and fast internet service. Softbank is also investing heavily in robotics and autonomous driving. 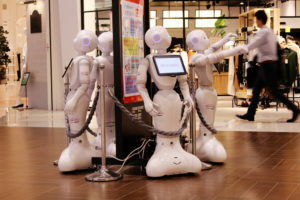 In 2015, Softbank began selling a humanoid called “Pepper”. Recently, however, it acquired Boston Dynamics from Alphabet to boost its robotics venture. Son also invested in Guardant Health, an American Cancer screening company, that applies machine learning and genomics for the early detection of tumors. The Japanese tech mogul isn’t alone in his pursuits. In September 2016, the power-couple Mark Zuckerberg and Priscilla Chan poured $3 billion into top universities in California. The funding was for biomedical research intended to cure a variety of diseases within a century. At the same time, Facebook cofounder Sean Parker and Oracle cofounder Larry Ellison promised $250 million and $200 million respectively to fund cancer centers. Eli Broad and Ted Stanley have shelled out $1.4 billion to privately fund psychiatric research. For these highly successful business people, doling out several hundred million to fund scientific research won’t even make a dent in their portfolio, but it can have huge results in the world of research and science. Scientific American notes that even in its early stages, science and research were mostly privately funded. During the time of the scientific revolution, it was wealthy men like Henry Cavendish and Antoine Lavoisier who spent time and energy on research and scientific discovery. Prior to the war years, rich businessmen set up trust funds to spend on research. The Rockefeller and Guggenheim Foundation gave brilliant scientists such as Robert Oppenheimer and Linus Pauling Postdoctoral fellowships that enabled them to study with esteemed masters such as Neils Bohr and Arnold Sommerfeld. It would be naïve to think that the billionaires are spending their money on research for purely altruistic reasons. Apart from plain curiosity and the excitement of discovery, personal and business interests also come into play. Private funding for rare and neurodegenerative diseases are propelled by fear and genetic predisposition. Alphabet Inc CEO Larry Page, for one, suffers from a speaking disorder while Google co-founder Sergey Brin is predisposed to Parkinson’s. The research they are funding will benefit them, yes, but it will also benefit millions of other people. Another good example is the $70 million that went to the Cystic Fibrosis Foundation. The money was raised by rich parents of children who had the disease. The infusion of funds pushed Vertex Pharmaceutical’s research to develop and perfect the drug Kalydeco. Prior to that, there was no viable treatment for cystic fibrosis. While the medication is still expensive, it now offers hope to families of patients afflicted with the condition. Private funding research speeds up the process of discovery, testing, trials and creating prototypes which will eventually be released in the market. It keeps scientists and researchers working without fear or worry that their grants could be shut down anytime. Looking at it critically though, it does appear to throw the balance in favor of billion-dollar capitalists. They get first dibs on promising research and discoveries and have the opportunity to produce and market it. For example, Sean Parker’s institution will fund research studies but claim the right to patents that come from the projects. Government funded research, on the other hand, pins their hopes on being bought and funded by private companies after the fact. The initial studies and tests are done using public money with the hope of discovering something that is for the greater good. These noble aspirations, however, often meet head on with the reality that research and development – whether medical or technological – requires deep pockets such as Son’s and other bold visionaries in order to reach the end users. The US government is inching backward on its commitment to fund basic scientific research due to budget constraints and priorities. If science and medicine rely on public funding alone, it might not be possible to find a cure for HIV or cancer in the near future. Call it scientific philanthropy, angel investments, or just simply private funding; billionaires like Masayoshi Son are in it for the glory of discovery and the chance to make history. And we will all benefit from their discoveries.